It’s time I return my focus to NYC Marathon training. I’m happy being on a training plan; the structure of a schedule and building toward an end-goal suits me. A new chapter begins as I plug workouts into my calendar, calculate training paces, and dust off lessons learned from past marathons. The Furman-based training plan from “Run Less Run Faster” will be my constant companion for 16 weeks. I used its beginner version for NJ Marathon. This time, I’m using the advanced plan. Built around three key runs per week, the biggest difference will be higher mileage of the long training runs. The plan calls for five 20-milers. Yes, five! I’m interested to see how my body responds to this. I feel confident in my decision to use this plan, and am reassured knowing I’ll adjust training, as required, to stay healthy and injury-free. When I ran NYC Marathon last year, my goal was to finish the race feeling well. I did that easily enough – never bonking and finishing with energy left to burn. This year, I’m aiming for a time goal. While I’m still nailing down specifics (yes, this close to training), I know I’d like to PR. That means clocking a finish time faster than 3:53. That’s my “safe” goal. But the dream goal? To be Boston-bound! My long-term goal is to earn a Boston Qualifier. Hinting at my age here, I’ll need to run a 3:40 or faster. Can I achieve that in NYC? The drive to BQ in my hometown is strong…crazy strong. I’m aware I must account for factors like the crowded course and the inclines. Having run a flat course (NJ) and the NYC course before, I prefer the challenge of the inclines. I find they help provide some muscle change, rather than taxing the same muscle groups continuously. They also provide concrete mini-goals during the race: “Make it over the Queensboro Bridge and you’ll soon see First Ave!” “Put the blinders on, Fifth Avenue Hill and then you’ll be in the park – home stretch!” Keeping all this in mind, I need to focus on my mental fortitude to push through. Though there’s a need to be realistic and constantly re-evaluate during training, I’ll fuel the fire with thoughts of Boston. A big factor in training and racing successfully will be making adjustments from “lessons learned.” It’s not the most fun part of training – digesting past mistakes – but it’s critical. I made my fair share of errors in the NJ Marathon. Fortunately, I was aware they were happening. Don’t ask why I knowingly went ahead with mucking up – that’s another story. The positive outcome is I learned more about what worked for me in terms of pacing and gear. Ditching the fuel belt and using fluid stations instead. Became an easy choice, really, when I threw my fuel belt away on the NJ Marathon course. But, I won’t replace it! Pacing for a negative split. 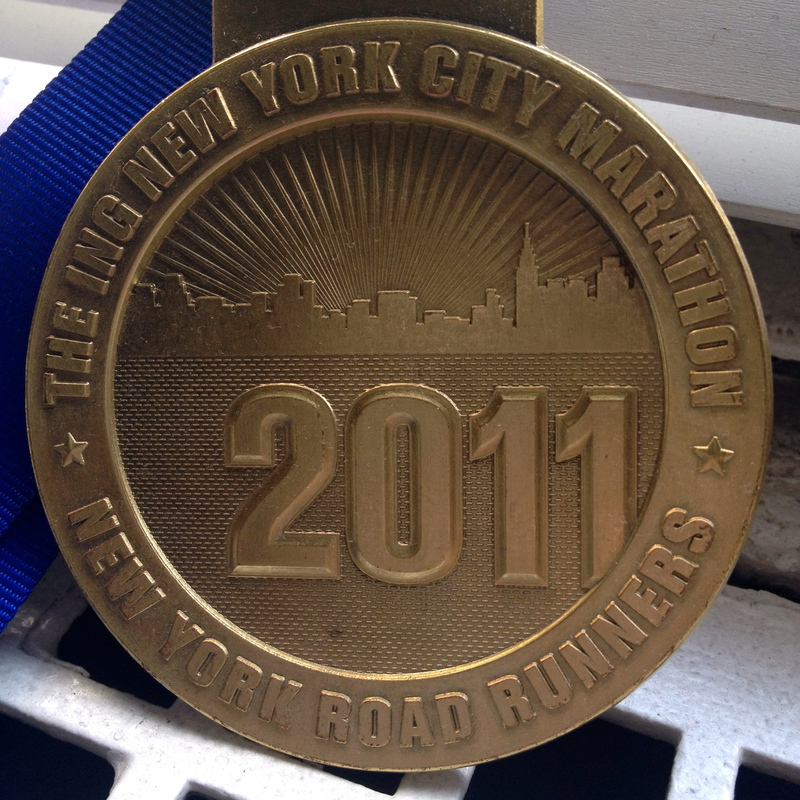 I accomplished this in last year’s NYC Marathon; I blatantly screwed it up in NJ. A return to conservative, smart pacing is unquestionably in order. Pacing slower on long slow distance training runs. With five 20-milers looming, I need to pace smartly on these longer runs. I want to finish feeling stronger, not depleted. Limit additional racing during training season. Last season I scheduled quite a few shorter races during training. While I don’t necessarily think that’s such an awful idea, racing each one on the verge of “all out” took a toll on my training. Specifically when I raced the NYC Half Marathon to a huge PR, without recovery time. A host of injuries arose after that, which compromised my full marathon potential. Other modifications will come as I move through this next training cycle. My key things to remember are: train hard; train smart; be flexible with my plans and expectations; and enjoy the excitement that envelopes the city during NYC Marathon season. It’s an amazing experience; I’m fortunate to find myself here again! ahhh! Seeing that medal is making me so excited for Nov 4th! I wonder what this years will look like… and go for that BQ! no doubt you can do it! don’t let anyone discourage you! It makes a difference to write out your daily accomplishments. It will also serve as a guide to others. Keep going and keep your Chi-on!